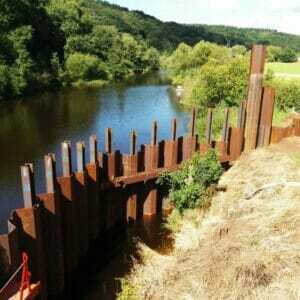 J Murphy Group awarded Aarsleff the contract to install a temporary sheet piled cofferdam on the River Severn, as part of the £300 Million ‘Birmingham Resilience’ Scheme. The scheme is one of Severn Trent’s largest ever infrastructure projects, specifically to develop an alternative water supply for Birmingham to complement the Elan Valley Aqueduct (EVA). The Birmingham Resilience Project will create a new abstraction point and pumping station on the River Severn, at Lickhill Quarry near Stourport, to which water will then be pumped along a new 25km pipeline, through pipes with a 1.0m diameter, to Frankley Water Treatment Works. 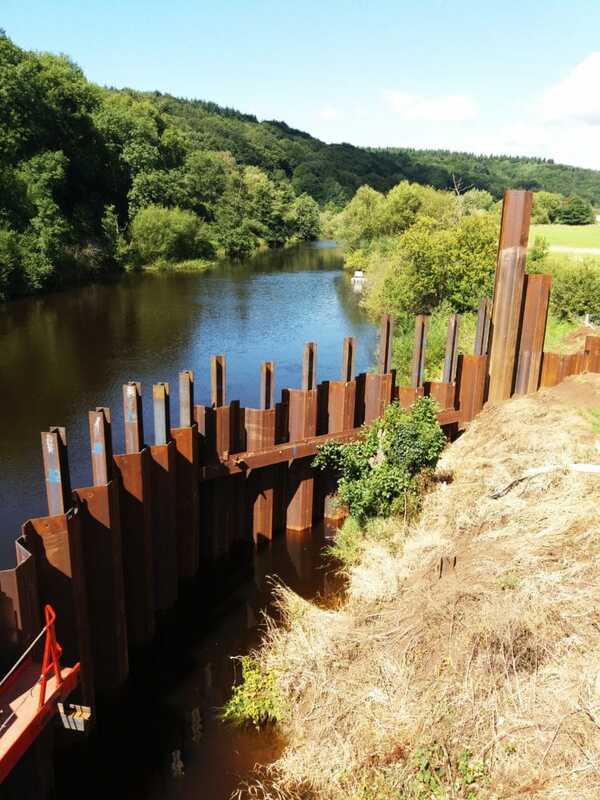 Aarsleff’s sheet piling works allowed a dry working area for J Murphy to construct the secant piling to the intake structure.